I have made this honey natural amber teething necklace from Baltic amber hand gathered on the shore of the Baltic sea. Fastened with safe tension release fastening. Each piece of healing amber is placed between knots to prevent loosing amber if the necklace breaks. 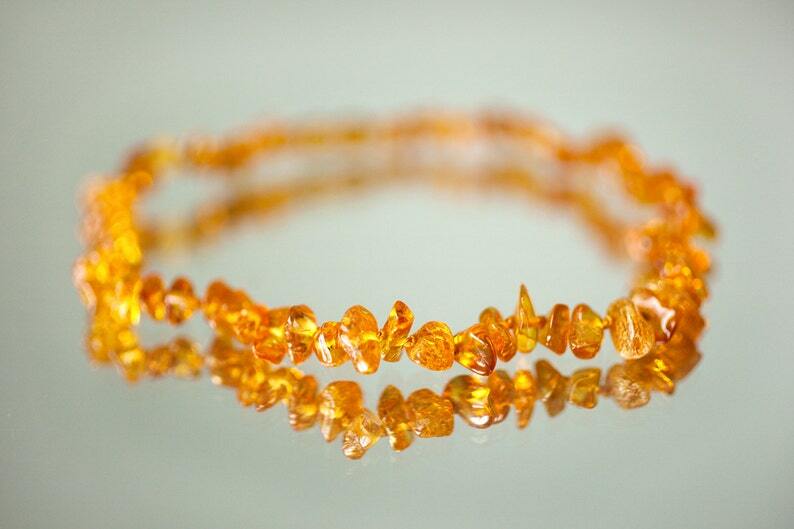 How does amber jewelry work as teething remedy and natural analgesic? An appropriate length of teething children necklaces should be so that children shouldn't be able to fit the necklace in their mouth while it's been worn. My little one has only just started teething; this seems to minimize her discomfort. Pleased with my purchase.